How do I manage company goals in Bridge Perform as an admin? Company goals are goals that have been chosen as the most important goals in your company. 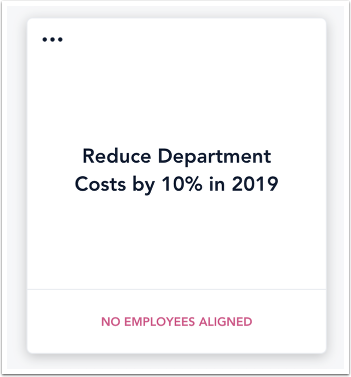 Employees can align personal goals to any company goal to create a hierarchy, which helps users visualize how smaller goals are contributing upward to what is most important. Company goals are visible to everyone in your entire account. Company goals cannot be edited or deleted. Personal goals that an employee has marked as private cannot be aligned with company goals. Click the Account Management link , then click the Company Goals link . 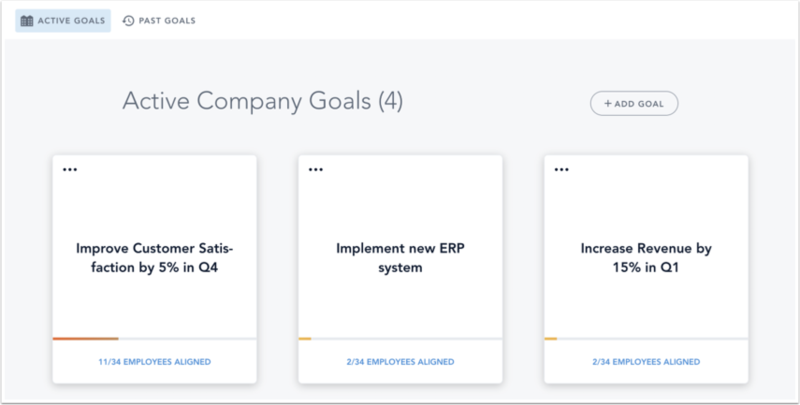 The Company Goals page displays all company goals that have been added to your account. To add a company goal, click the Add Goal button. Note: Company goals cannot be edited or deleted. Add the title of the goal in the Title field , then click the Done button . View the new company goal. Previous Topic:How do I manage Performance Conversation settings in Bridge Perform as an admin? Next Topic:How do I use Assessments in Bridge Perform as an admin? Table of Contents > Admin > How do I manage company goals in Bridge Perform as an admin? How do I manage Performance Conversation settings in Bridge Perform as an admin? How do I use Bridge Perform as an admin? How do I use Assessments in Bridge Perform as an admin?